Is it a prop or is it real? 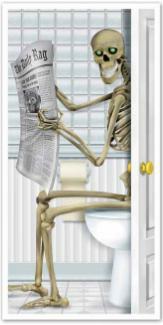 Everyone loves a skeleton at Halloween, especially if it’s realistic. 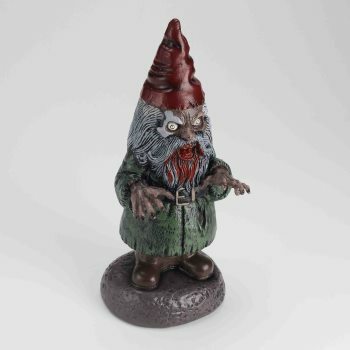 Instead of taking a skeleton prop and hanging it from a tree or your ceiling, why not add this guy to your gruesome and scary collection? This impaled skeleton comes with a base and the stake that seperates into 3 pieces so not only is it easy to set up, it’s easy to store it after Halloween. This base sits on the ground so there’s no need for special over-head rigging. You can almost feel the pain this guy felt when he was put on the stake! 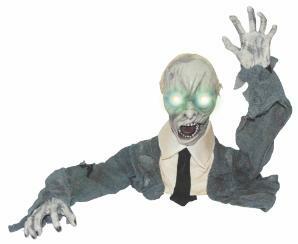 You can add more realism to this dead guy by adding more fake blood or even hanging a strobe light above where he is displayed. 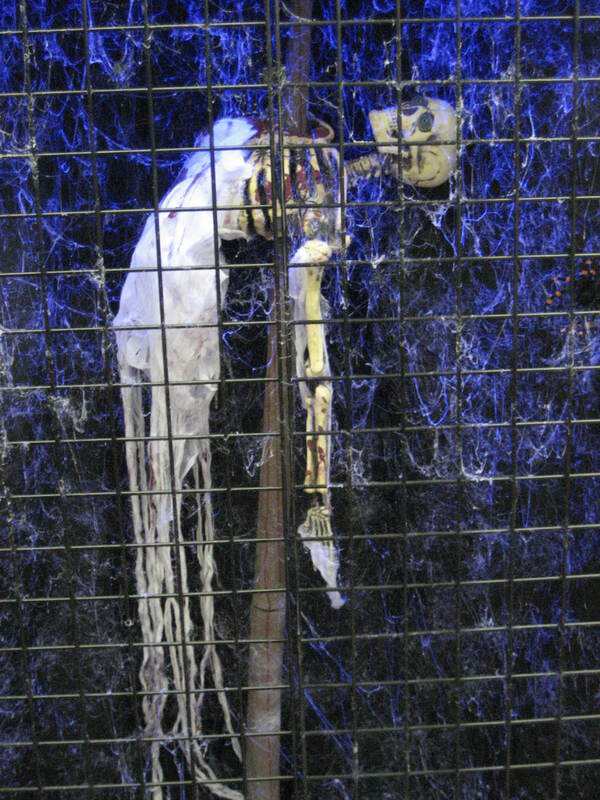 At McCulloch’s we’ve put this guy on display and added some awesome cobwebs with the Webcaster Gun, some extra skull props and fake spiders. 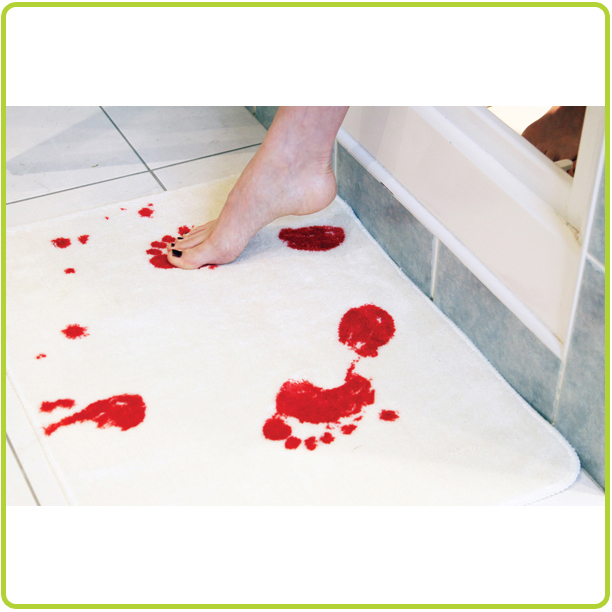 This can be a truly eerie and gruesome display that will make everyone in your neighborhood scream with delight! 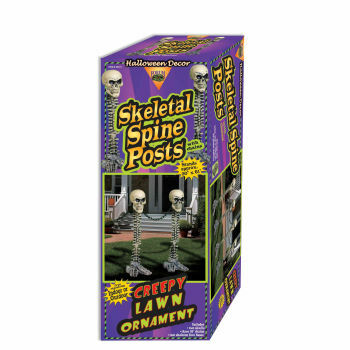 Better yet, you can get this Impaled Skeleton, with it’s base, for only $39.99!! That is such a good deal it’s almost grave robbery! How to make realistic Spider Webs! You’ve got a great party planned and you have all of your decorations. Better yet your house is going to be the scariest haunted house in london this year when the kids come trick-or-treating. Want to make it better? 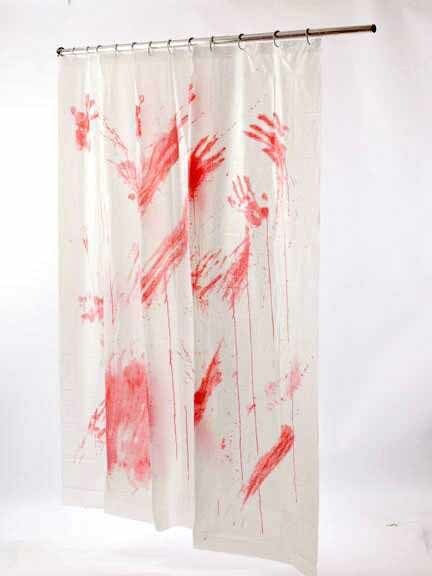 Want to make it scarier and more realistic? Add some spider webs! I’m not talking about the plastic bags filled with cotton that you string out and stretch out over your bushes and furniture. 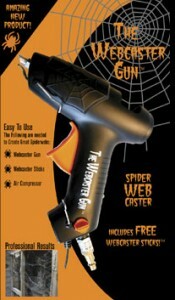 McCulloch’s has something better….let’s introduce you to the Webcaster Gun. 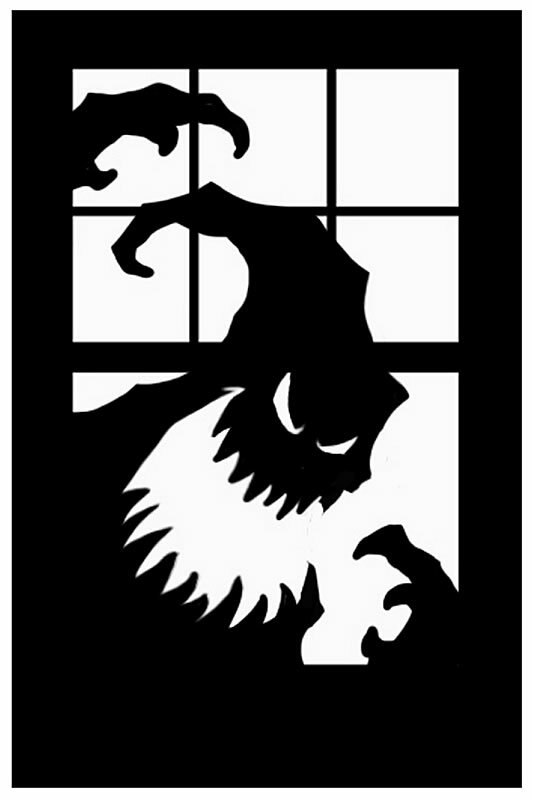 Created by Professionals, the Webcaster Gun is the only UL Listed, Patent Pending Designed gun available for the amateur Halloween decorator. 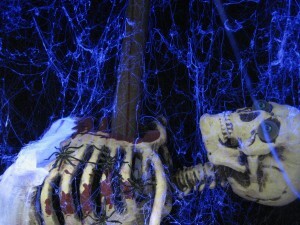 Any home haunter can take an ordinary scene and add realistic cobwebs that look as if they were made by a pack of spiders. Connect a simple air compressor to the gun and insert our Webcaster sticks and you’ll have an amazing scene in no time! Glue sticks come in a variety of colors including , black, white, neon orange, neon yellow and glow-in-the-dark clear! Visit our online store to order your Webcaster today! 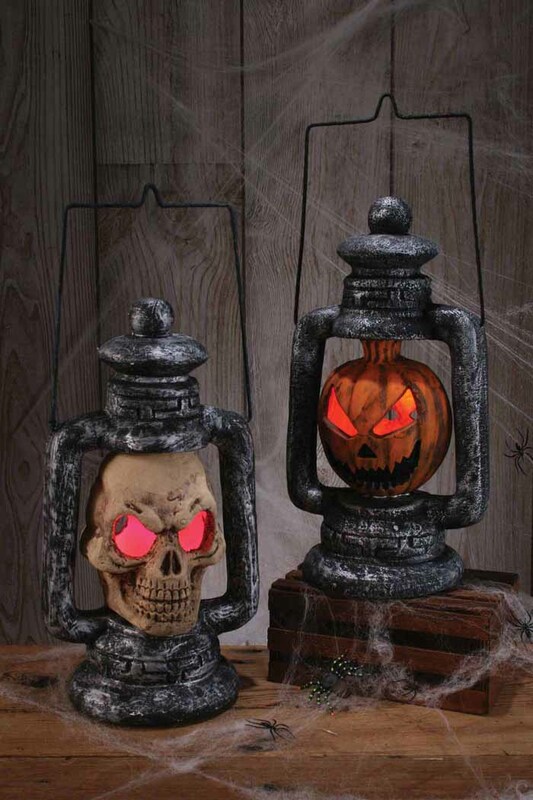 Every haunted party needs some eerie lighting! 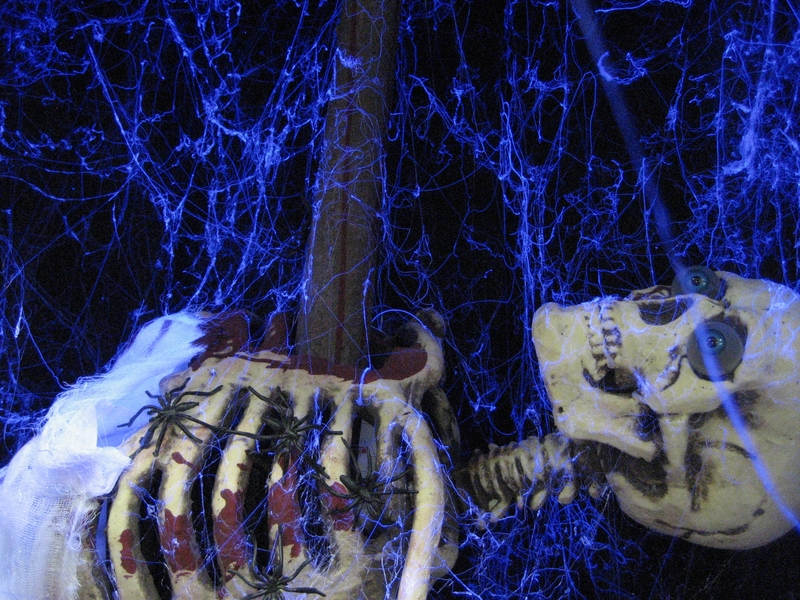 Check back tomorrow as we’ll be showing you a tool to make the most realistic looking spider webs you’ve ever seen! 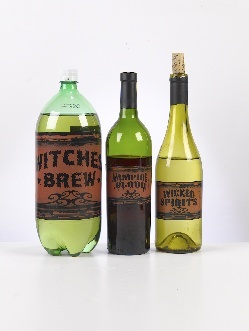 This will really take your halloween decorating to the next level!